Fundraiser for Becca Louisell by Devon Fitzgerald : Help us replace stolen bikes!! Help us replace stolen bikes!! Our community has recently been targeted by a slew of bicycle thefts. The thieves snuck onto our property over the past two weeks and stole three bikes out of our building. Those bikes belonged to Jessica, Randy and Sandy. 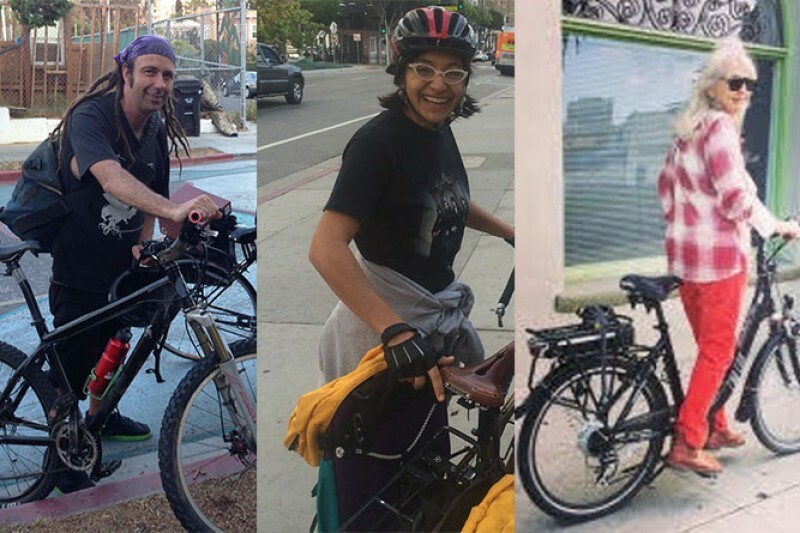 We strive to live a less impactful lifestyle at the Ecovillage and many of us rely far more heavily on bicycle and public transport to get around LA. The loss of these bicycles has greatly impacted these community members for various reasons: Randy does not have access to a car and the extra money he now needs to spend on public transport is putting a strain on his monthly budget. Jess planned on doing a big tour with her surly, had her engagement photos done with this bike and planned on sharing her joy of riding with her son Eli in the next two months. Sandy’s electric allowed her to rely on her car far less. As friends, family and community members we are asking for your support in helping raise the funds that will allow Jess, Sandy and Randy to get back on the road. The money we raise is going towards a Surly Long Haul trucker for Jess, a Cycle cross bike for Randy and replacement commuter for Sandy. Our goal is to raise the money no later than November 5, to get them back on the road. If you would like to specify how you want your contribution distributed please private Facebook message Devon or Becca. Thanks in advance for helping our community out, we're grateful for your involvment as will Jess, Randy and Sandy be. So sad for you guys. Here's to getting you some new wheels :) <3!! !